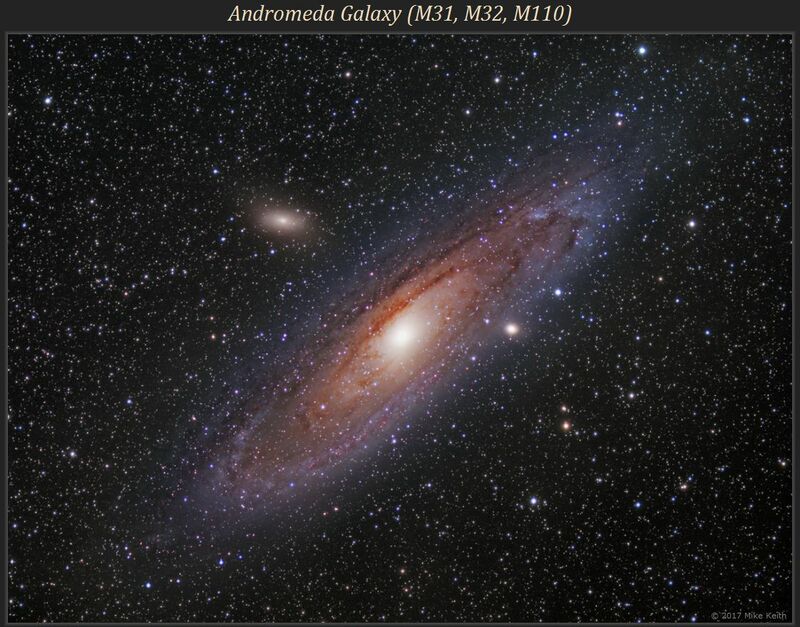 The Andromeda Galaxy is the most impressive galaxy (other than our own) visible from the Northern hemisphere, visible even with the naked eye under dark skies. 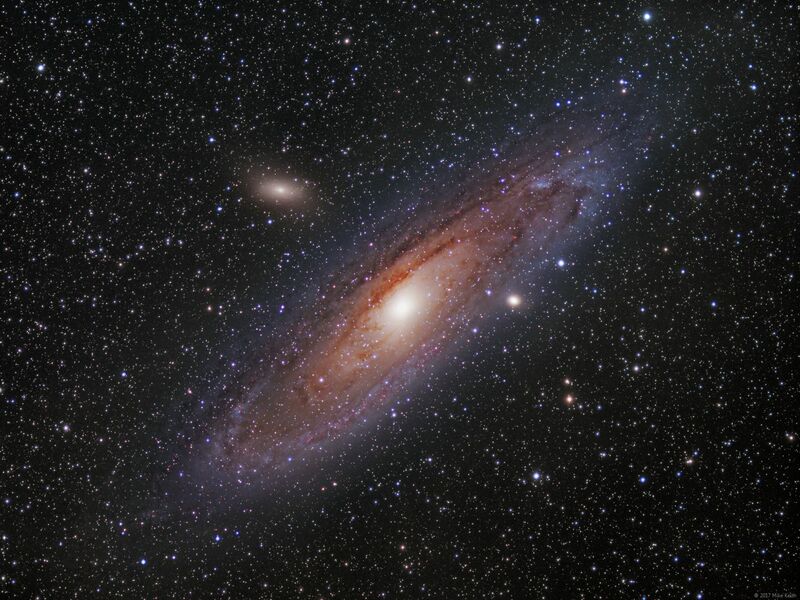 Near its right edge is companion galaxy M32, and in the upper left of the picture is companion M110. Both of these orbit M31 as satellites. The bright blue patch inside M31 at the upper right is an active star-forming region with the designation NGC 206.